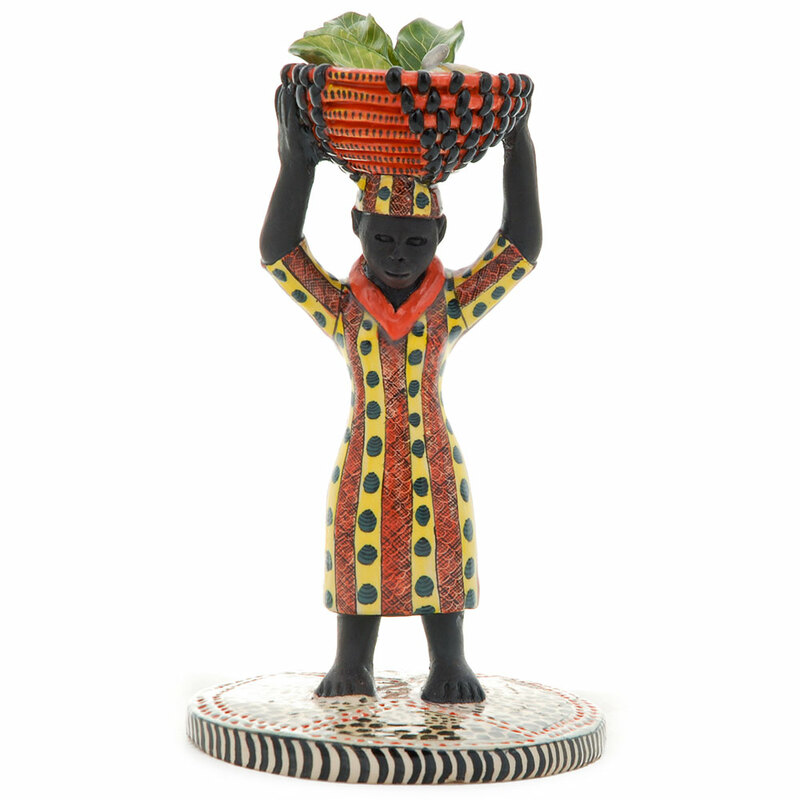 February is Black History month and at WMODA we are exploring how the Zulus have honored their heritage at Ardmore Ceramic Art in South Africa. 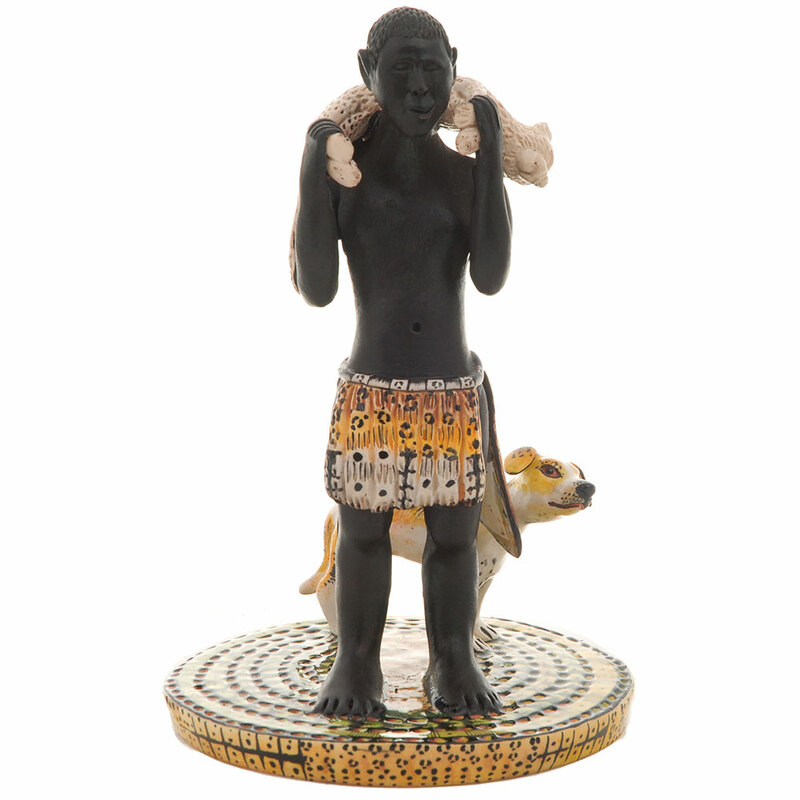 As well as all the whimsical safari animals and vases decorated with local flora and fauna on display at the museum, the Ardmore sculptors have also portrayed aspects of traditional Zulu life. 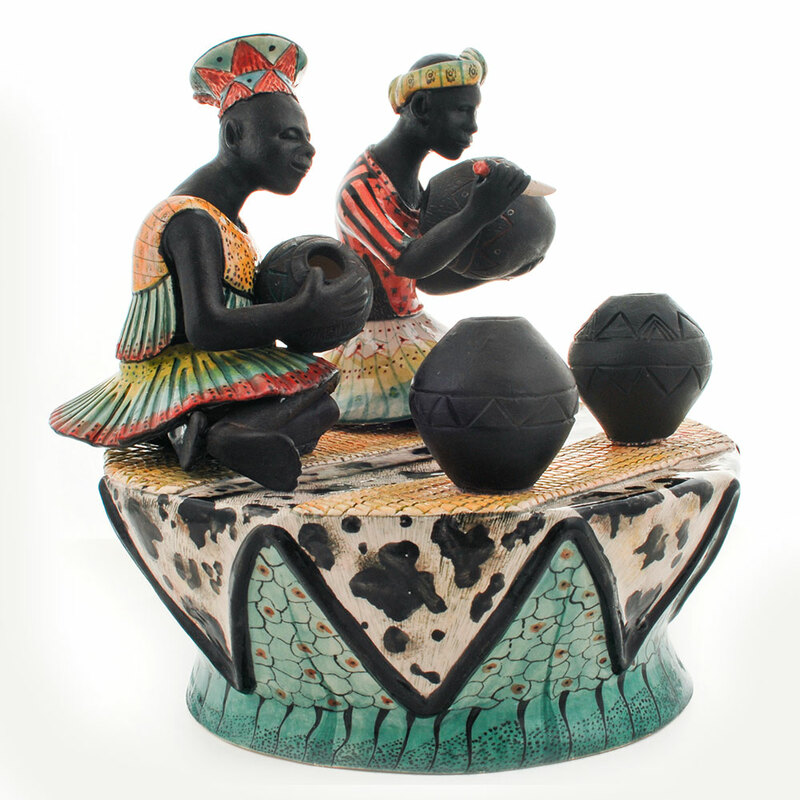 Zulu potters are featured in several Ardmore sculptures at WMODA. 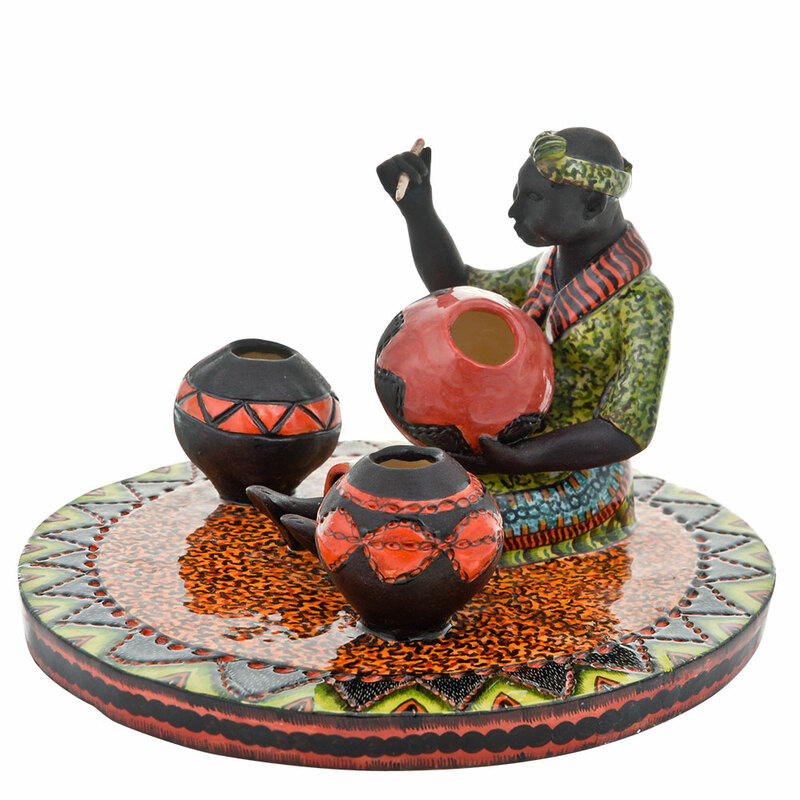 Traditionally it is the women who make the pottery, including beer pots called Ukhamba which are used for serving and drinking sorghum beer. 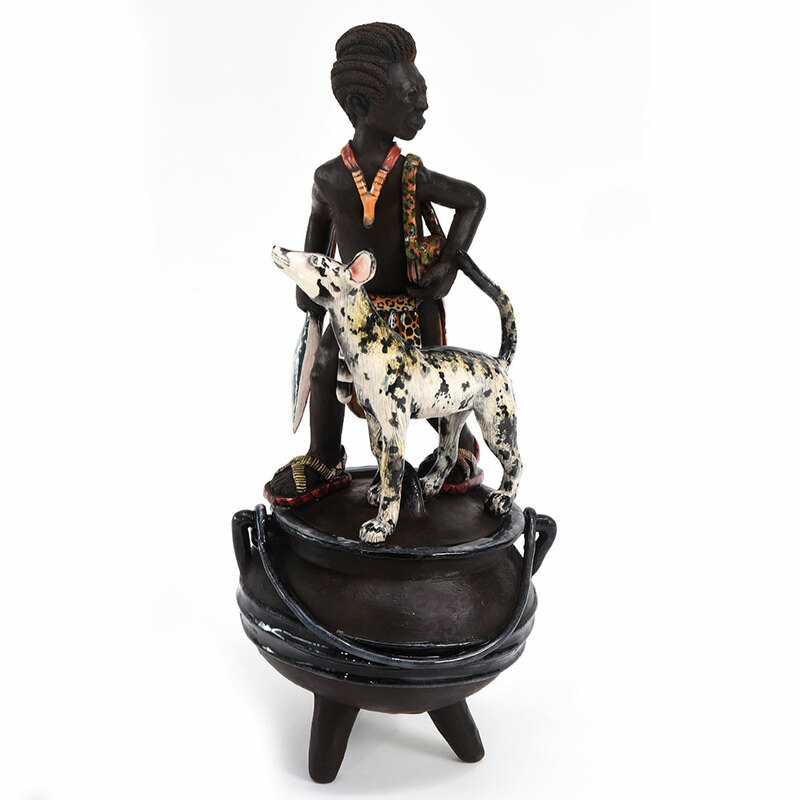 The smooth black finish is achieved by re-firing the sun-baked pots in a pit fire of aloe leaves and cow dung, then rubbing with animal fat to honor the ancestors. 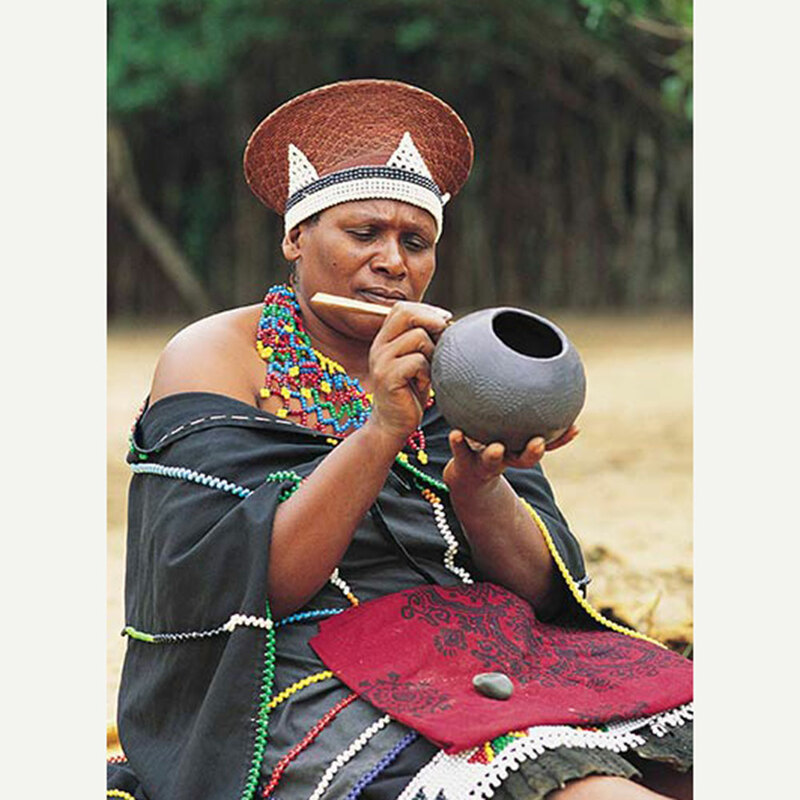 Ritual beer drinking by Zulus is associated not only with the living, but also with the dead, to whom it is offered whenever the ancestors must be remembered and appeased. 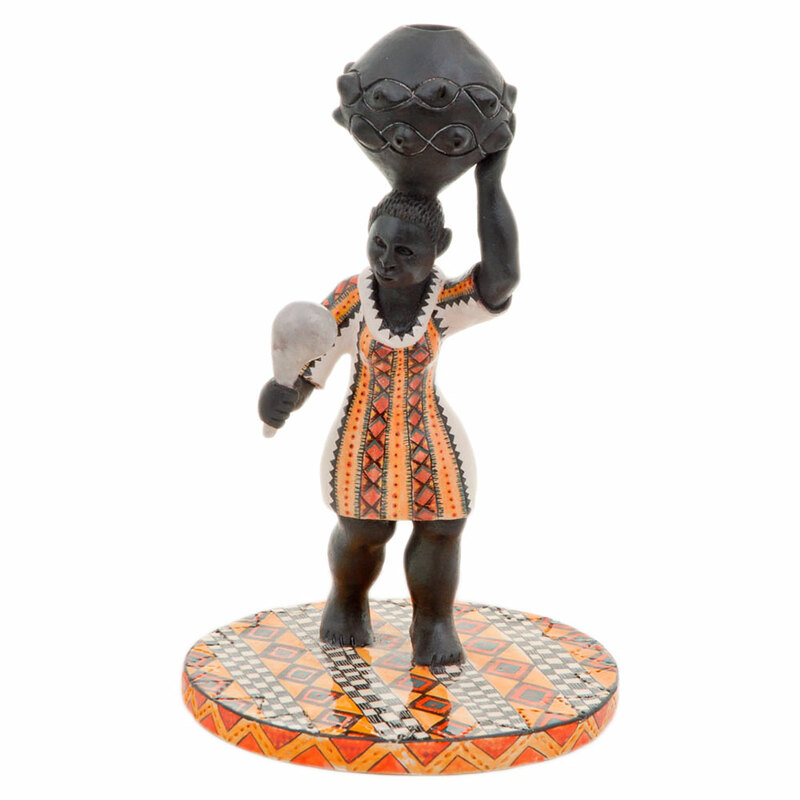 King Ceshwayo claimed beer was “the food of the Zulus” and one of the Ardmore figure groups depicts a king imbibing. He wears a leopard skin which denotes his regal status. On his feet are traditional Zulu sandals which are made of used car tires. 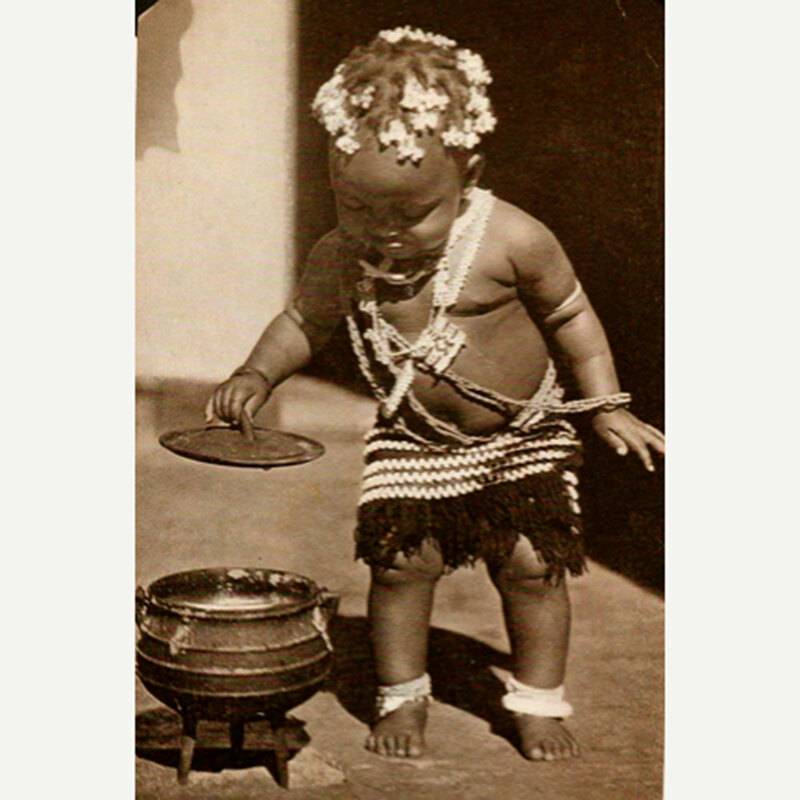 They are known in Zulu as “izimbadada” because of the sound they make when walking in them. 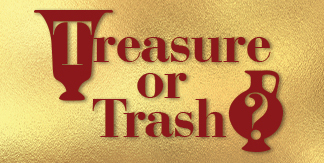 Brilliant recycling! 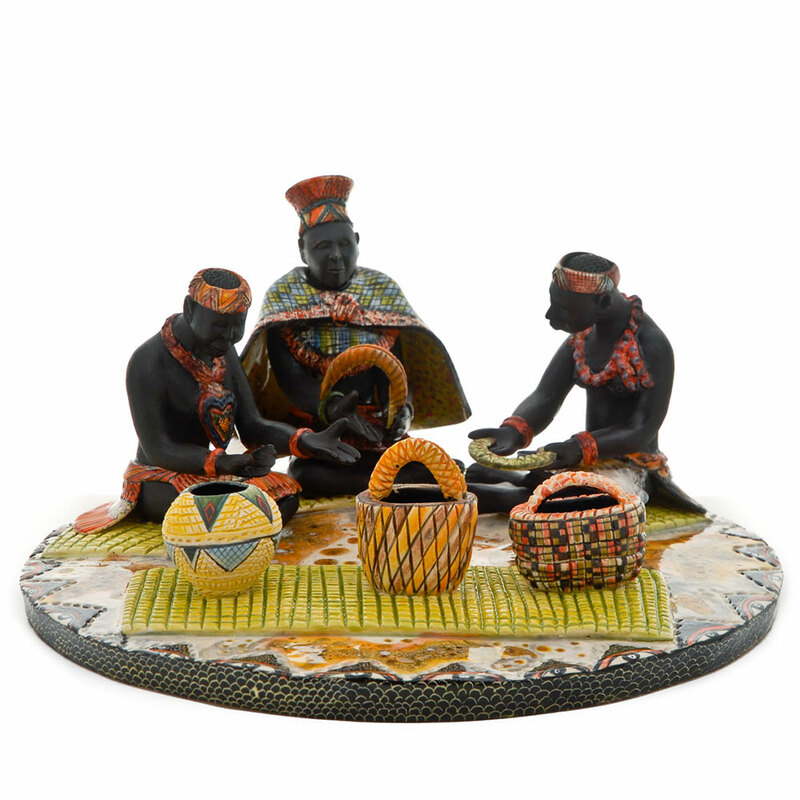 Basket weaving is another traditional Zulu craft depicted in the Ardmore sculptures at WMODA. 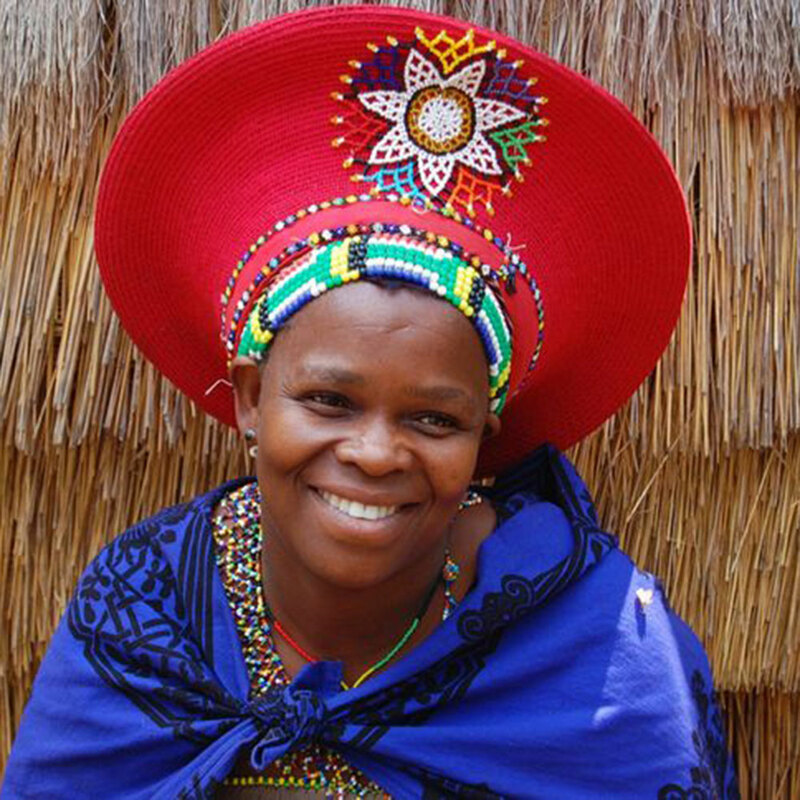 The striking hats worn by married Zulu women are called isicholos. 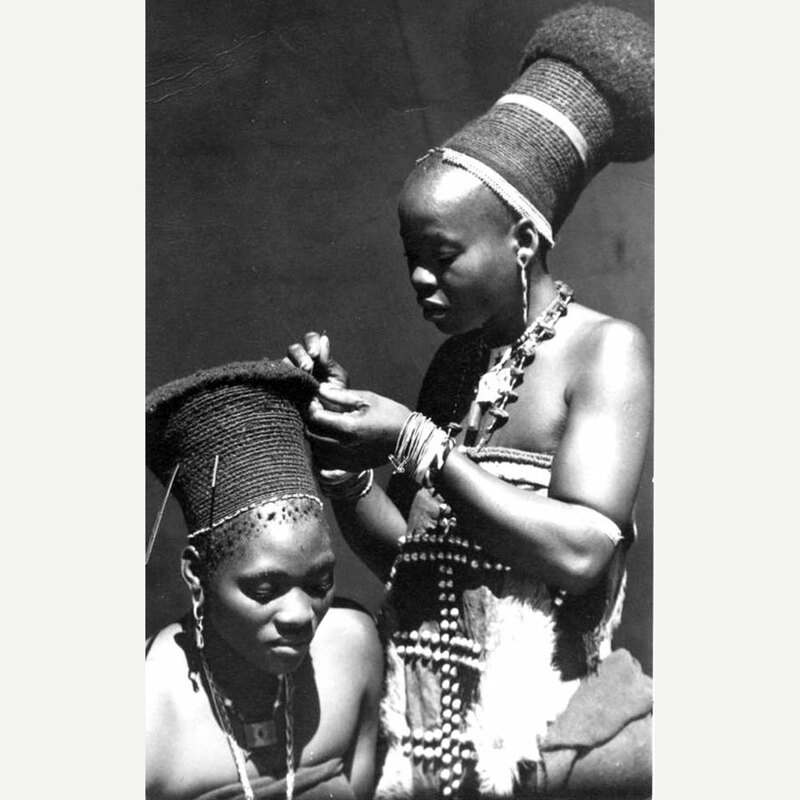 They evolved from elaborate hairstyles into head-dresses woven with human hair, natural fibers and beadwork. After marriage, women never removed their elaborate head wear even when sleeping. 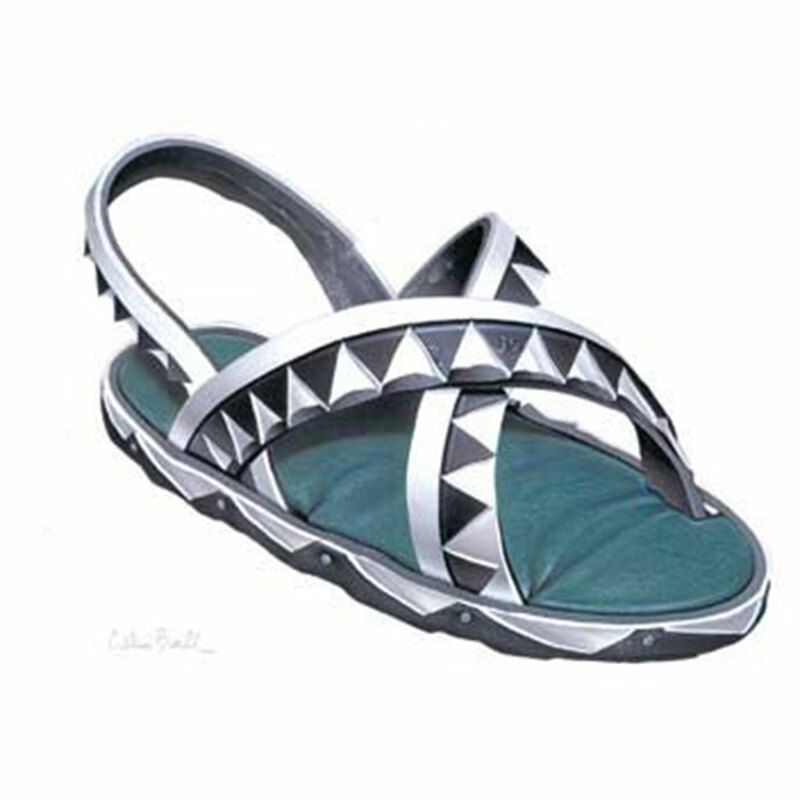 Today, however, isicholos have become a cultural and fashion statement among young women also. 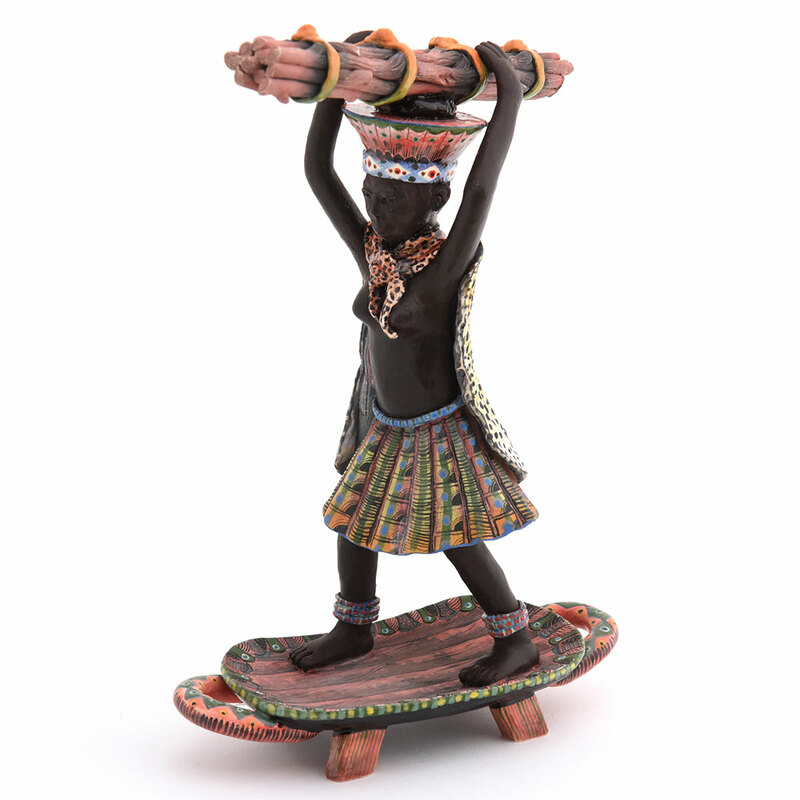 Traditionally Zulu women carried pots, baskets and other goods for their daily life on their heads and there are several figures in the WMODA collection featuring this skill. 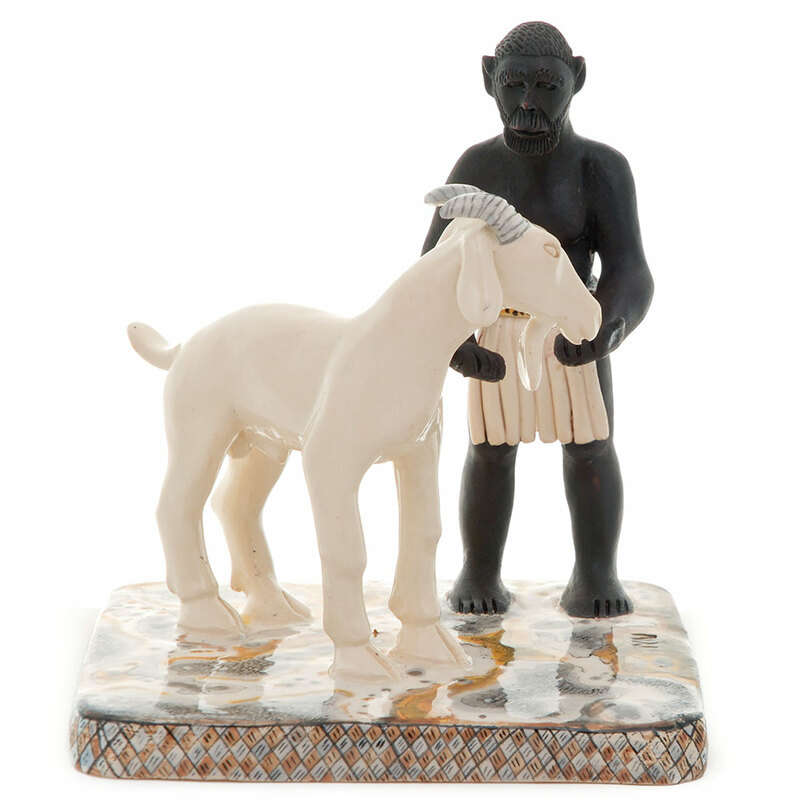 The Zulu economy depended upon cattle and agriculture. 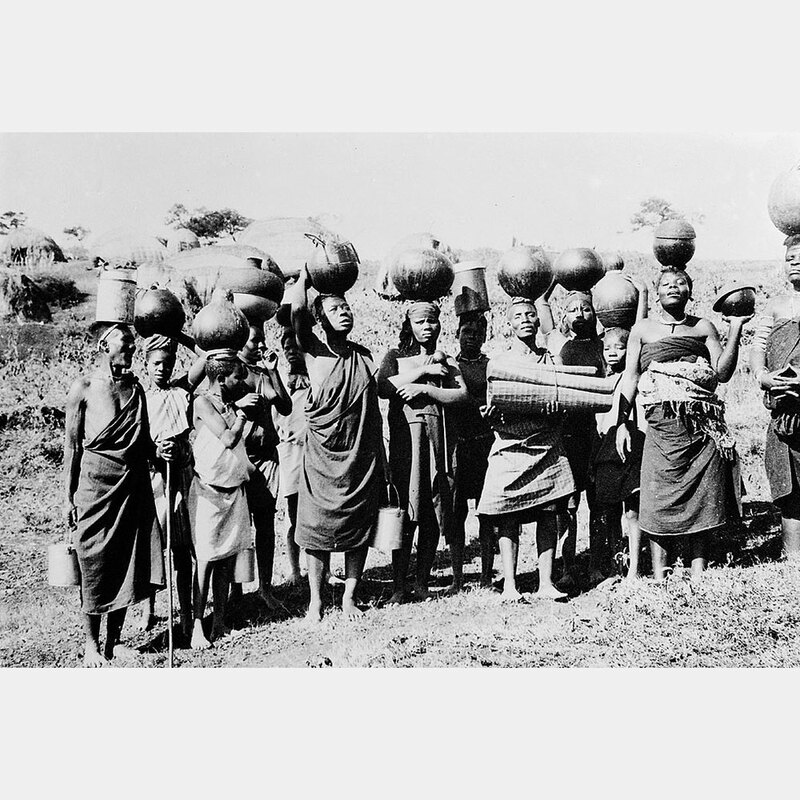 Women grew the crops and men hunted and tended the cattle. 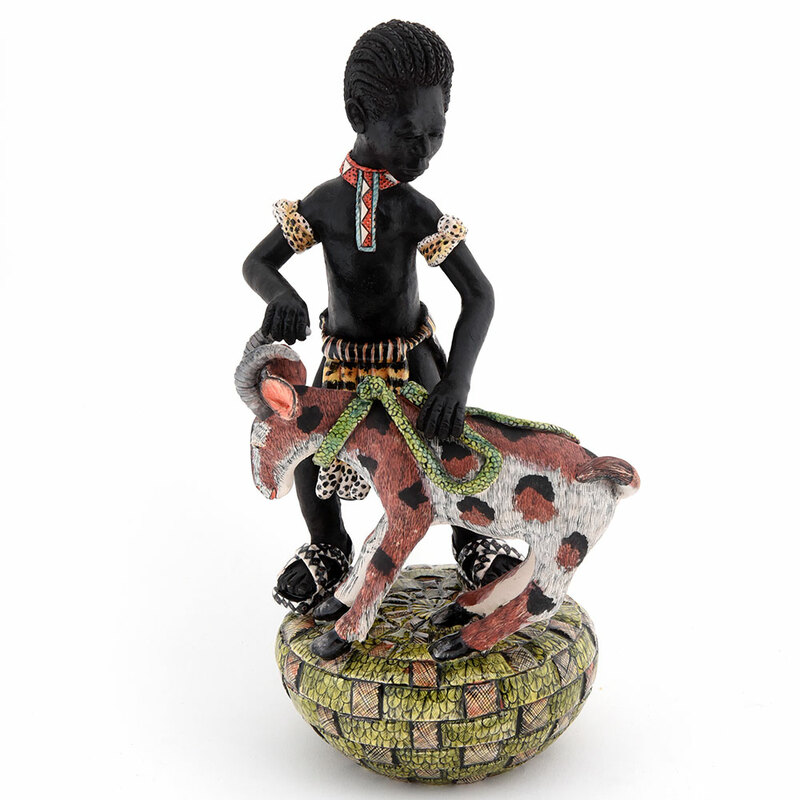 Young boys were the herders and several of the older Ardmore artists have recalled that their first experience of working with clay was modeling toys at the river bank while watching their family’s prized Nguni cattle. 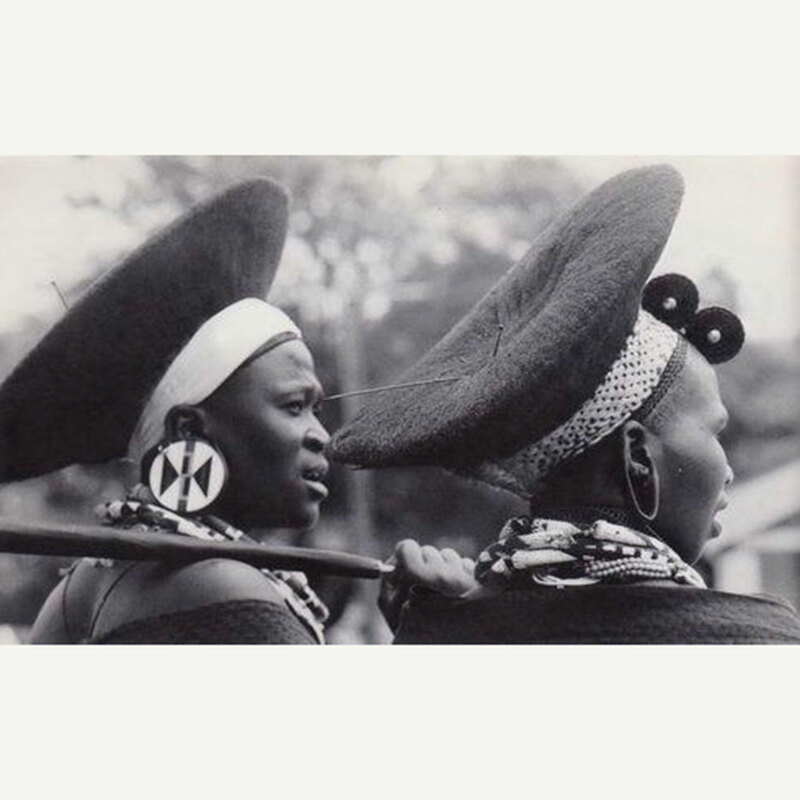 A man’s wealth was counted in cattle and provided the main Zulu diet as well as hides for clothing and shields. 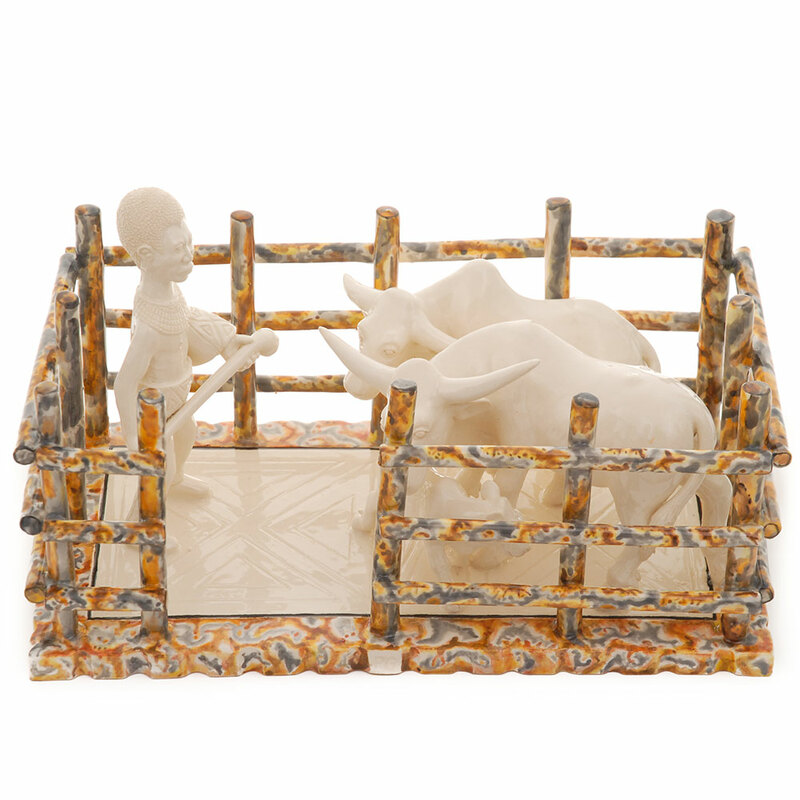 Cattle were also the means for acquiring wives through lobola, or bride-price. 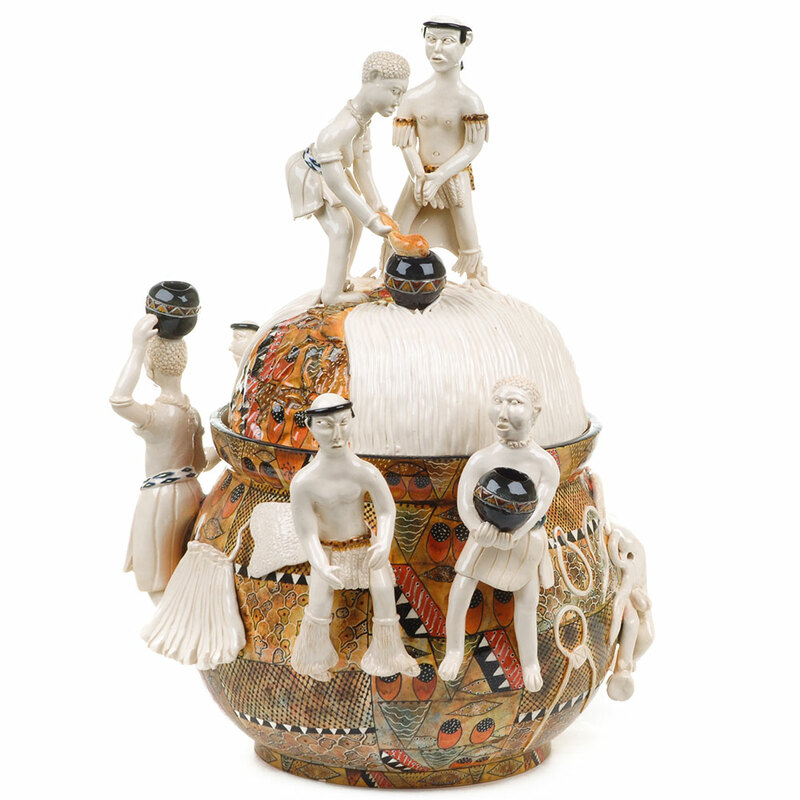 The more recent history of the Zulus at Ardmore is featured in the splendid ewer celebrating 30 years of the artists’ successes and poignant references to the hardships they have endured, notably HIV/AIDS. 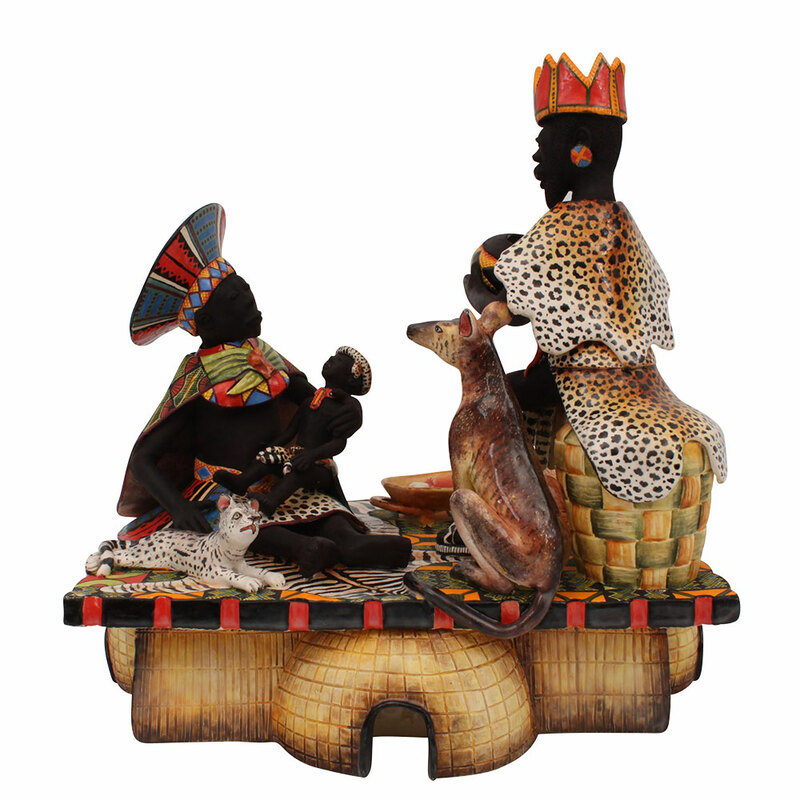 Depicted are works by the first Zulu artist, Bonnie Ntshalintshali who drew inspiration from her Christian upbringing and tribal traditions.